COSTA MESA, Calif. (AP) — Faye Spanos, the wife of Los Angeles Chargers owner Alex Spanos, has died. She was 92. Faye Spanos died late Tuesday night of undisclosed causes. She married Alex Spanos in 1948, and they raised four children in Stockton, California. 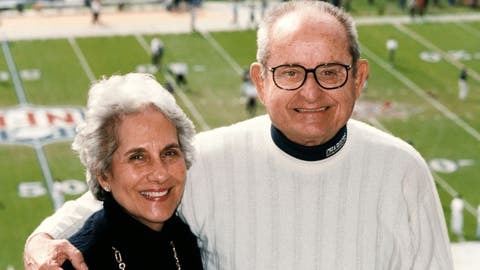 Alex Spanos built a billion-dollar fortune in real estate and construction during their marriage, and he purchased a majority share in the San Diego Chargers in 1984. Faye and Alex Spanos became prolific philanthropists, donating to causes related to schools, children, the arts and hospitals. Their son, Dean Spanos, is the Chargers’ chairman of the board and controlling owner. The Chargers moved from San Diego to Los Angeles in early 2017.